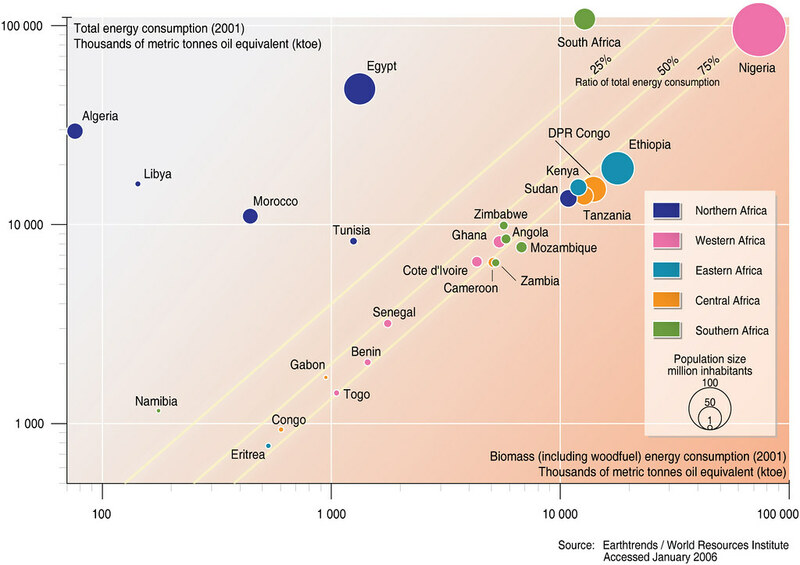 Biomass, primarily woodfuel, is the major source of energy in Sub-Saharan Africa, with the exception of South Africa. Over 90% of the total energy consumption is biomass in Ethiopia, DPR Congo and Tanzania. Projections estimate that this will further increase, together with population increase and higher energy needs. 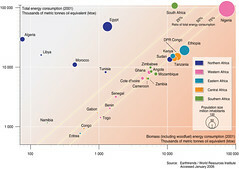 In total energy consumption, populous countries, such as Nigeria, South Africa and Egypt have the highest totals.